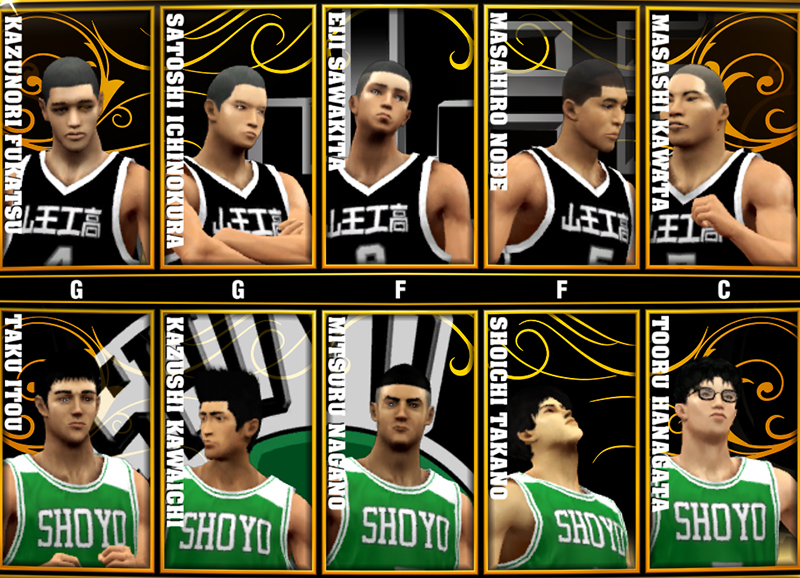 Description: The long wait is over for all the basketball anime and manga fans out there! 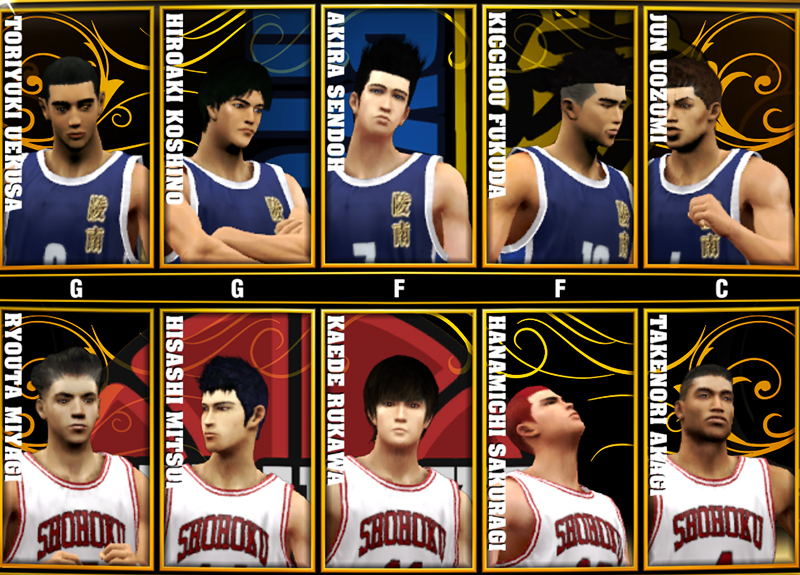 This mod for PC allows you to play Slamdunk teams in NBA 2K13 along with Kuroko no Basuke All-Star team. Read the notes below for more information about this mod. 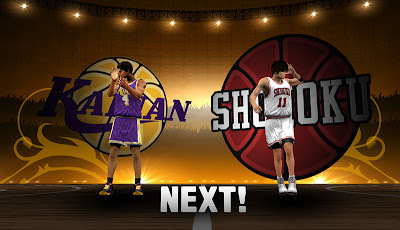 - Includes complete cyberface files for all the players, shoes, modded graphics, game arts, media files, dornas, custom start-up screen, floors, courts, leds, logos, custom ball, transitions, covers, coaches, custom advertisements and many more. - Accurate player stats, vitals, information, signatures, skills, hotspots, tendencies, and free throw shots. 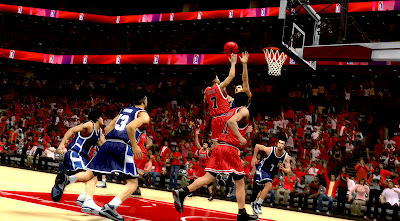 - This mod requires a working copy of NBA 2K13 PC. This is not a stand-alone game. 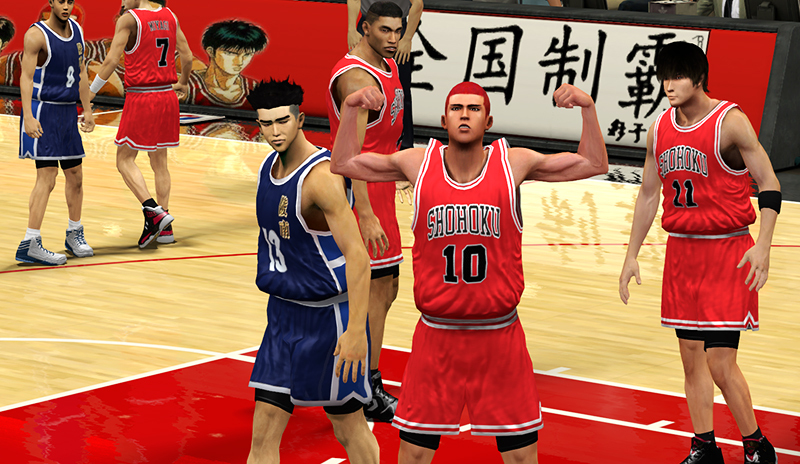 The anime adaptation of Slam Dunk is very popular in Asia specially in Japan and in the Philippines. 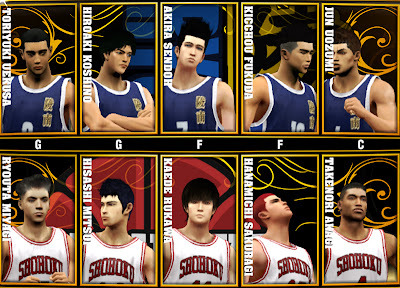 Shohoku, Shoyo, Ryonan, Kainan, Sannoh, Slamdunk All-Stars, Katsuwasi, Takezato, Daiei, Fukui Hori, Kouyi, Shiromatu, Miuradai, Takezono, Yukuwata, Mamiya, Awato, Toyotama, Meihon, Inawaki, Tsuruoka, Sendai, Hiketa, Jousei, Aiwa, Higashis, Ryokufu, Tsukubu, Tomifusa, Chiba, Takahata, Kiseki and Slamdunk retro teams. 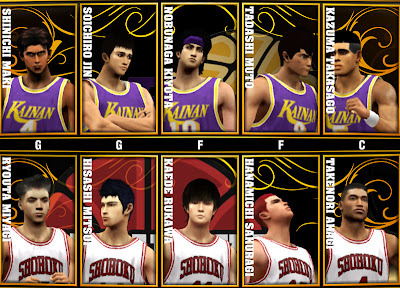 Daiki Aomine, Seijuro Akashi, Atsushi Murasakibara, Taiga Kagami, Teppei Kiyoshi, Ryota Kise, Shintaro Midorima, Tetsuya Kuroko, Junpei Hyuga, and Rinnosuke Mitobe. 1. 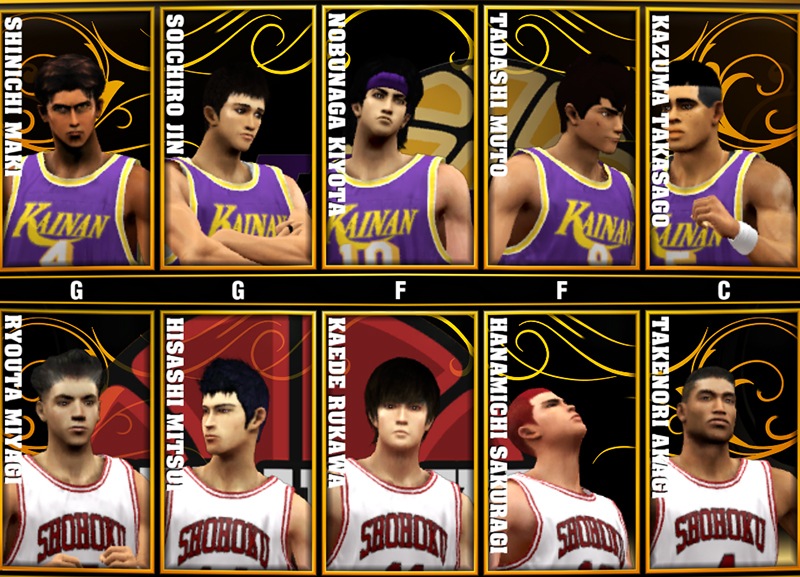 Copy all the mod files (mostly .iff) into NBA 2K13 main folder. 2. 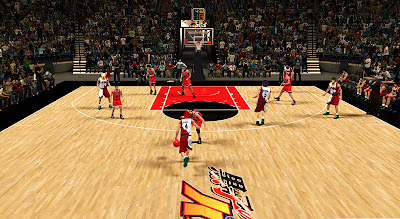 Copy the roster file (.ROS) into NBA 2K13 Saves folder. To find this folder, open "Run" (Windows key + R) then type %AppData% in the search box. 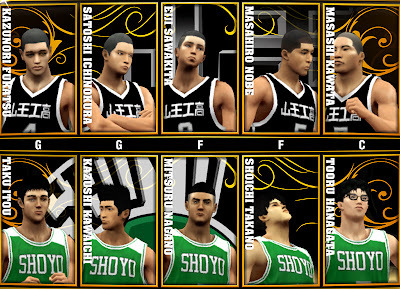 Open the 2K Sports folder then NBA 2K13 folder > Saves folder. 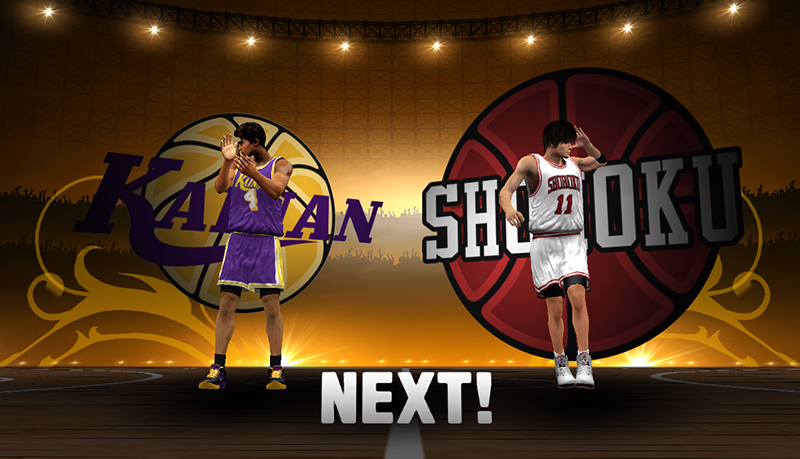 Note: This mod will replace most of the original files in NBA 2K13. Please backup your whole game folder before installing this mod. Created by: EGS team. Big credits to baballs as well - Chinese site for NBA 2K mods. Please like, leave a comment, and share it on Facebook! Thank you.